An enormous 16-metre high bear looks out across the huge Mysteryland site. The sun is shining, the festivalgoers are excited and the loud beat of the bass can be felt as much as heard. Among the stages and the colourful flags hangs a white TU Delft flag from researcher Tim van Oijen. Not an everyday venue for a scientist, you may think. What is he researching at this large-scale dance event? 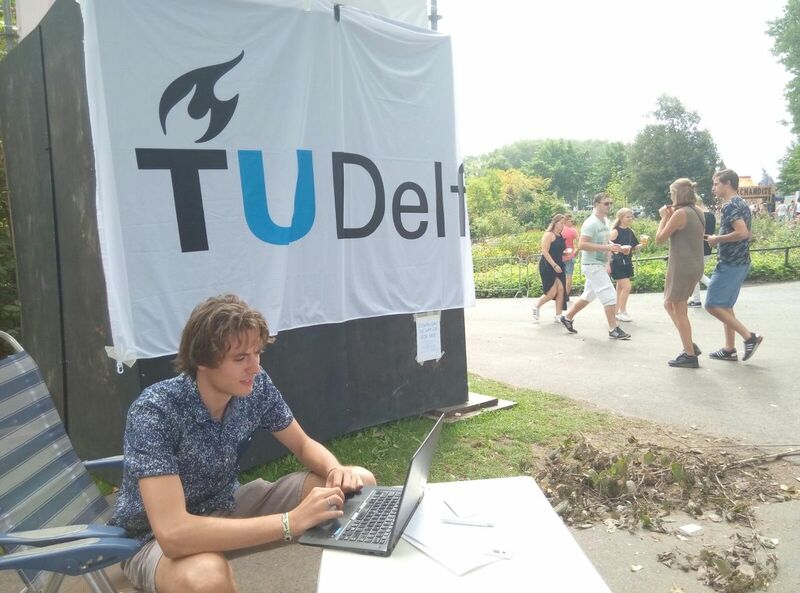 Tim, a PhD candidate in the Transport & Planning department, visited the festival together with his team to study the behaviour of the festivalgoers. Tim’s measuring instrument was an app he developed himself. He contacted the participants on the spot and via Facebook, and together they recorded which stages they visited, in what order and how long they stayed at each stage. He used the festivalgoers' GPS positions to analyse how they moved around the festival site and how this affected the only bridge that joined the northern part of the site to the southern part. “We want to be able to describe the behaviour of festivalgoers better and to develop methods for communicating with these visitors at an individual level”, explains Tim. This will give us ways to spread the festivalgoers across the site better, which is particularly important for organisers and crowd managers from the local authorities and the police. “During large-scale events they want to make sure that people can move around safely and comfortably. Taking measures in the face of anticipated congestion allows us to avoid unsafe situations." The participants could also use the app to rate the performances on a scale of 1 to 5 stars. It is interesting to know whether the rating of the present and earlier performances have any influence on the visitors' choice of stage. To get an impression of how festivalgoers plan their activities and the extent to which they stick to their intended plan, at certain times Tim asked the app users what their next planned activity was. “Comparing the participants' planning with what they actually did next, gave us insight into the extent to which festivalgoers act according to a strict plan. Insight into the tractability of app users is of essential importance if you want to use a mobile app to manage congestion. The results give us a starting point to determine at what point in the planning process the advice from an app can best be integrated." 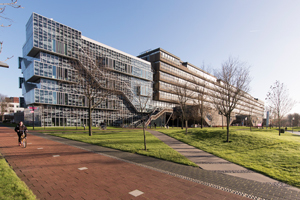 This experiment is part of ALLEGRO – an ERC project from TU Delft and the AMS Institute. 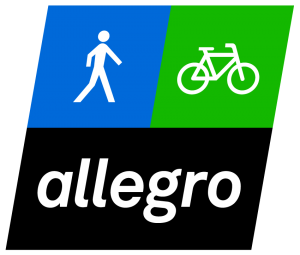 The project is focused on increasing our knowledge of ‘active modes’: walking and cycling. Besides developing theories and models to help us gain a better understanding of pedestrian and cycling behaviour, the project also looks at how we can use recent developments in the field of ICT, such as smartphones and social media, for real-time data collection and advice.